In 1982, the International Theatre Institute, working through UNESCO, created International Dance Day, occurring on April 29 each year. The date recognizes the birthday of Jean-Georges Noverre, the originator of modern ballet, who lived from 1727-1810. In support of each year’s recognition, a prominent representative of dance pens a message regarding the universality and importance of dance. For 2019, Karima Mansour, an Egyptian dancer, choreographer and teacher, wrote the message. She began, “At the beginning there was movement… and since the dawn of time, dance has been a strong means of expression and celebration.” The popularity of “Dancing with the Stars” proves her message. I’d like to interpret the “dawn of time” a bit differently than Ms. Mansour. Long before humans arrived and ever since, animals have danced as part of their life story. Dance is so ubiquitous in nature that in 2015 BBC Earth produced a two-part video series about dancing animals. And so, it seems a good time to remind us all that there are some pretty nifty dancers roaming around nature’s ballrooms. All dancing isn’t just for mating. Verreaux’s sifaka, a lemur endemic to Madagascar, is highly adapted for climbing trees and jumping from one branch to another. Its long, muscular hind legs and short front legs are ideal for an arboreal habitat. But the sifaka also travels on the ground, and because its anatomy wouldn’t allow running on all fours, it uses a graceful leaping gait to move along. 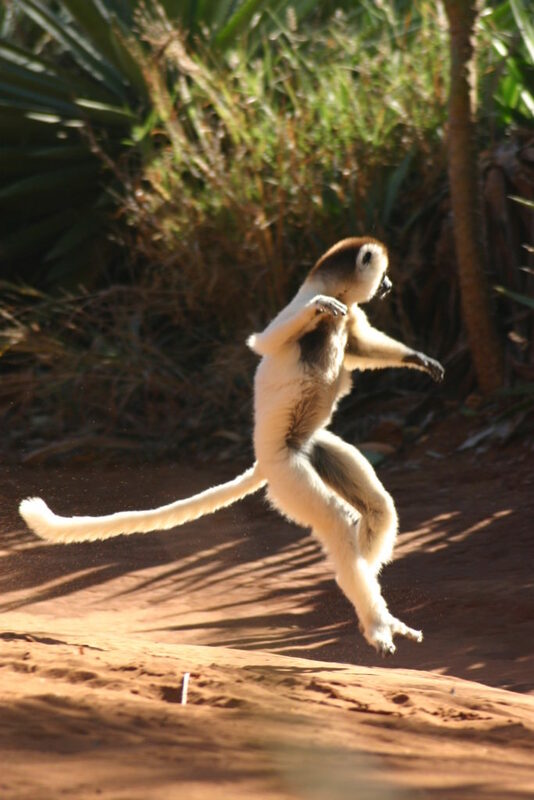 Jean-Georges Noverre would love the ballet performed by the dexterous sifaka. Several candidates compete for the best aquatic dancers. The streamlined bodies of humpbacks whales and river otters could get them jobs in an underwater Cirque de Solei. 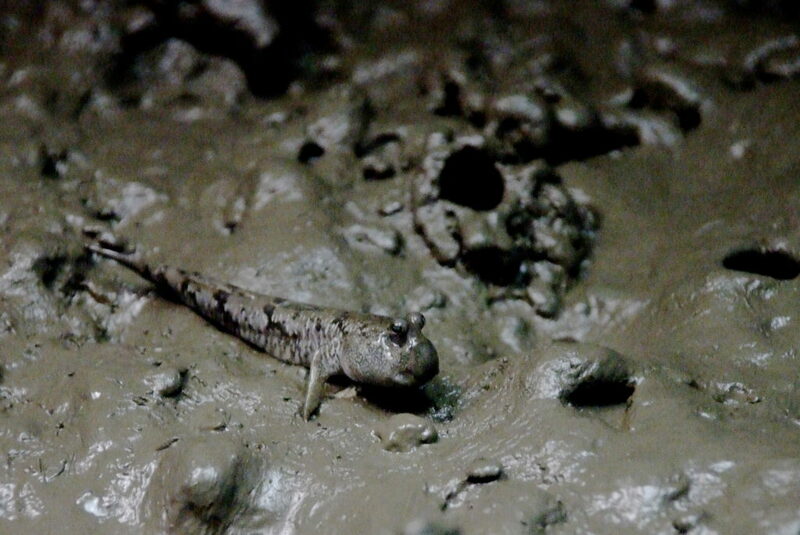 But the BBC is an unabashed advocate of the mudskipper. Mudskippers are small fish (about 4 inches long) that live in tidal pools, mangrove swamps and mud flats in Africa and Asia. More than 30 species exist. The fish are remarkable because they spend about 75% of their time on land (albeit really wet land); they can absorb oxygen from the air through their mouth and gills and through their moist skin—hence they spend most of their time rolling in the mud. But when males need to be noticed, they launch themselves into the air, up to 18 inches high, flex their bodies and fall back with a loud thud. This break-dance move lets females know they are around and ready to bogie! The champion animal dancing taxon, however, is unquestionably Aves. The displays that birds make, separately and in pairs, are the stuff of legends. The Sage Grouse is considered the best by many observers, as the males puff out their chests, inflating and emptying two inflatable air sacks. The booming sound fills the lonely prairie, attracting mates from miles around. But my money is on the Clark’s Grebe as the winner of Dancing with Nature’s Stars. These birds pair up for life, and they prove their devotion to each other through an elaborate couple’s dance. They romp through a variety of steps, often facing each other and performing mirror-image moves—preening feathers, ducking their heads, displaying their head feathers. But then the action explodes as they race together, side by side, walking—well, dancing—across the water with wings held at an aerodynamic angle. 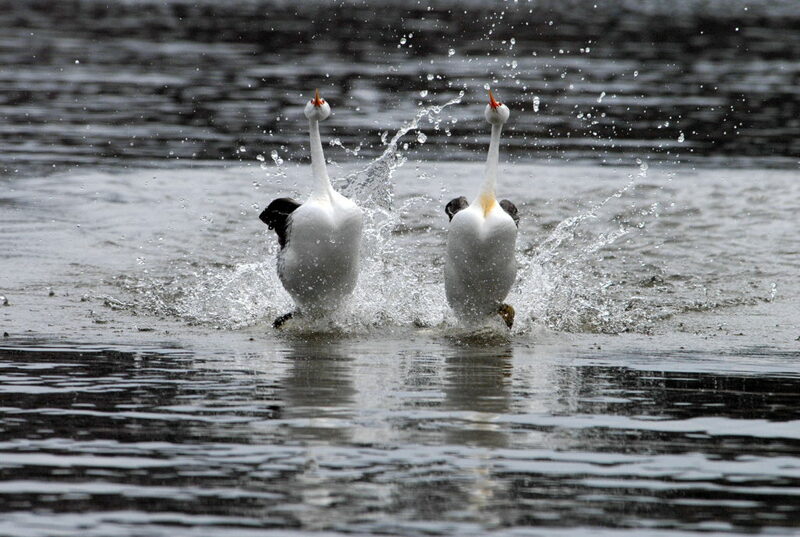 The dance could be right out of Swan Lake, or at least Grebe Pond! Most species do some sort of dance, just like most of us like to cavort around the family room. But some species are truly remarkable, and on a day when we recognize the power of dance to bring joy and meaning, let’s not forget our animal dancers! BBC. 2015. 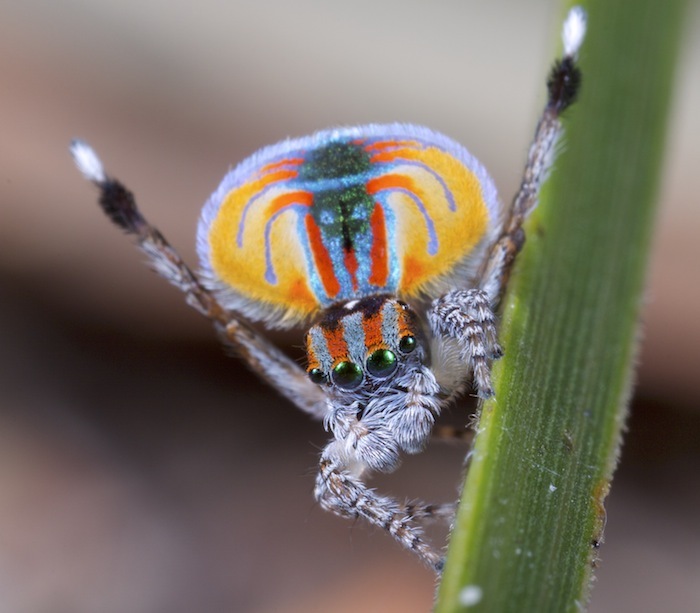 Ten dazzling dancers of the animal kingdom. BBC blog, 26 June 2015. Available at: http://www.bbc.com/earth/story/20150626-animal-dancers-that-dazzle. Accessed April 11, 2019. Dunne, Daily. 2018. Eight of nature’s grooviest dancing animals. BBC Science Focus, 28 February 2018. Available at: https://www.sciencefocus.com/nature/eight-of-natures-grooviest-dancing-animals/. Accessed April 11, 2019.
International Theatre Institute. International Dance Day. Available at: https://www.international-dance-day.org/internationaldanceday.html. Accessed April 11, 2019.